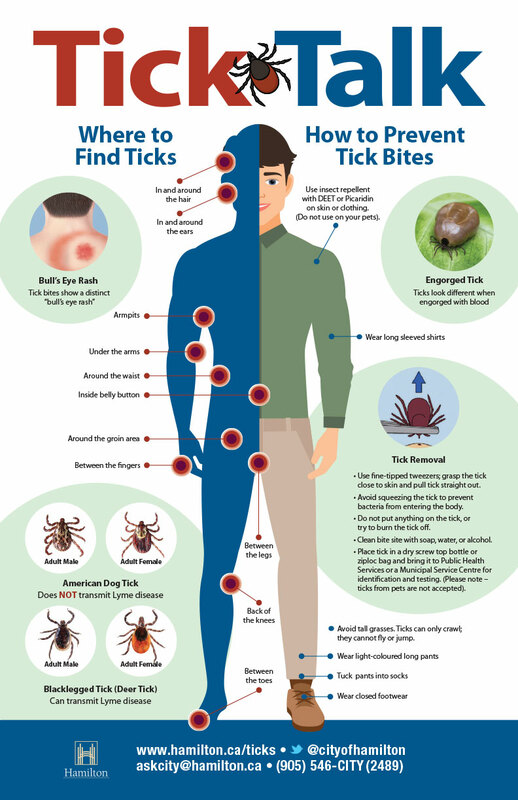 With the arrival of summer, tick bites and Lyme disease are once again on the rise as residents venture out in the great outdoors. Lyme disease in particular is very dangerous. Early symptoms include fever, headache, muscle and joint pain, fatigue and an expanding red “bulls eye” rash. If left untreated, an infected person may experience heart palpitations, arthritic symptoms, fatigue, and nervous system disorders. Here at Pier 8 Group we’ve created a poster for the City of Hamilton to highlight the health risks and to demonstrate what we can do to protect ourselves when playing or working outdoors. The poster is targeted to at-risk populations, including pet owners, hikers, campers, anglers and others engaging in outdoor recreational activities, as well as people who work outdoors for a living, like those who maintain our public parks and conservation areas.